Do you feel another headache coming on? If you do, it might be completely unrelated to illness, noise, or a predisposed condition. Instead, it could be entirely based on your lifestyle. New research has confirmed what most already assume: headaches are very closely linked to stress. 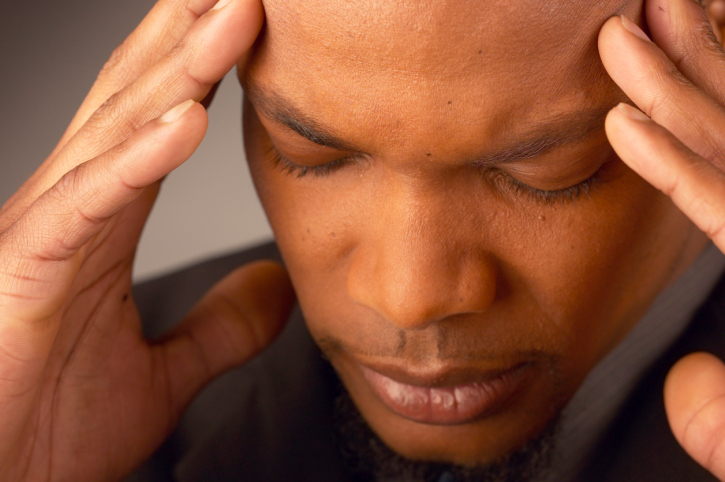 The more stress in your life, the more likely you’ll experience frequent and severe headaches. In a presentation at the American Academy of Neurology, British doctors showed a clear relationship between stress and headaches. They followed over 5,000 people age 21-71 and surveyed them intermittently about stress levels and headache frequency over a four-year period. They found during periods of higher stress, participants suffered more headaches, with migraines occurring 14% of the time. One of the major problems they noted was the vicious cycle stress headaches create. When someone goes through a stressful period leading to a headache, the headache often intensifies the stress in the person’s life. This can lead to chronic headaches, increased stress, and further health trouble. The best way to cope with a stress headache is by relieving the stress in your life. This can obviously be extremely difficult because everybody has things weighing on their brain. Perhaps you’re sick, you’re caring for a loved one who’s got a chronic illness, you fear loneliness, the bills are mounting, or anything else that might cause unrest in your life. Although it’s never wise to completely ignore a problem, a great way to reduce stress is to focus on something else and keep busy. When your mind is idle, it’s easy to over-analyze, dwell, and create scenarios that ultimately increase stress. So what can you do? Focus your energy on something productive. Getting out for some exercise is a proven stress reliever. Try to relieve the tension by going for a walk or doing some light resistance training. You can also join a support group or another social group to keep you occupied. Focusing on a hobby or simply talking about things, while spending time in the company of others, can help. Lastly, take a look at your diet and sleep patterns. Try to get more sleep and eat healthy because both of these things can help reduce stress. If you notice recurring headaches, it’ll take more than a cold towel on your forehead and a painkiller. There could be a more severe issue at play that’s driven by external lifestyle factors. Take a moment and find the best ways to reduce the stress in your life so you’re able to feel good and free yourself from pain. Hope, J., “It’s official: Stress does cause headaches (and the pain then causes us to become more stressed),” Daily Mail web site, February 20, 2014; http://www.dailymail.co.uk/health/article-2563733/Its-official-stress-DOES-cause-headaches-pain-causes-stressed.html#ixzz2ts1iLjG2, last accessed February 26, 2014.